THE managing director of the Daily Record and Sunday Mail newspapers has had his remit extended to include sister titles, the Daily Mirror and The People. Mark Hollinshead has been appointed managing director of publishers, Trinity Mirror’s ‘UK National’ newspapers. The Sunday Mirror also falls within his remit, as he takes over from incumbent, Richard Webb. 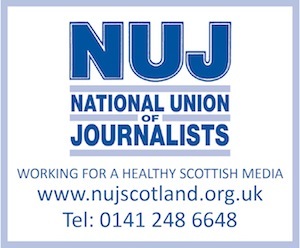 In other words, as well as Daily Record editor, Bruce Waddell, and Sunday Mail editor, Allan Rennie, reporting to him, he will now have Richard Wallace, Tina Weaver and Lloyd Embley – respectively editors of the Daily Mirror, the Sunday Mirror and The People – doing likewise. Says Trinity Mirror’s chief executive, Sly Bailey: “[Mark] will continue to report directly to me and act as a member of the executive committee. The new role will enable our national newspapers to fully embrace the changing media landscape.